NSHM Institute of Media & Design has launched its official drama club, Rangpeeth on Friday, 12th September, at 3pm at the AV-room. The veteran stage actor, Shri Deb Sankar Halder has inaugurated ‘Rangpeeth’. Rangpeeth will hold regular theatre workshops/talks/showcasing of student productions etc on Fridays, 4-6pm. Members of the club & others are welcome for the same. 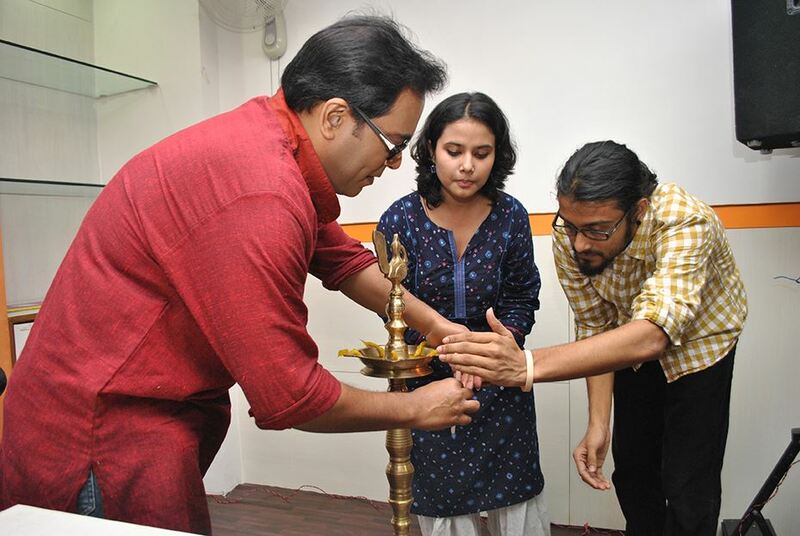 Shri Deb Sankar Halder at the inauguration of ‘Rangpeeth’.